In this holiday season, a time to share and be grateful, we want to extend our deepest gratitude to all who have guided our path, joined our cause and contributed to improving other lives. From our team to you and your loved ones, may you have a joyous and peaceful holiday filled with love and happiness. As the year 2018 comes to an end, we want to share with you part of our work in progress by presenting a brief review of our journey. 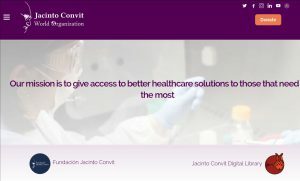 The Jacinto Convit World Organization (JCWO), is a U.S. nonprofit and nongovernmental organization incorporated in 2014, that contributes primarily to important areas of public health, such as cancer and endemic infectious diseases in developing countries with poor health conditions. 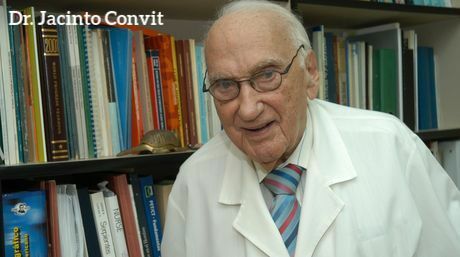 JCWO is named after Dr. Jacinto Convit, a Venezuelan and world renowned physician, scientist and humanist who impacted millions worldwide with his medical studies and interventions along his lengthy career of more than 70 years. 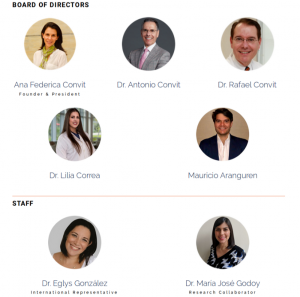 We promote the life, philosophy and work of Dr. Convit through specialized programs and in cooperation with our sister organization, Fundación Jacinto Convit (FJC), located in South America. The desire to help the most vulnerable, be useful to others and work to build a stronger society, are some of the values that have inspired JCWO since its inception. As strong believers in the power of team work over individual efforts, we constantly build alliances that help us do our work and impact the lives of others. 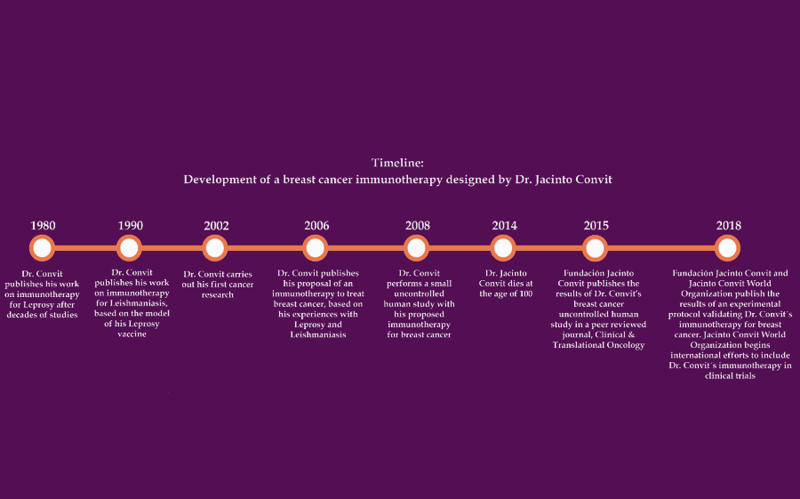 JCWO focuses on cancer research and currently develops an autologous therapeutic vaccine for breast cancer, ConvitVax, designed by Dr. Convit during his last years of life. 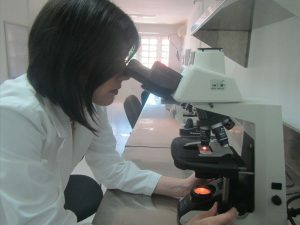 This immunotherapy is targeted to underprivileged patients who have very little or no access to new cancer treatments and in some cases to standard of care treatments in countries with poor health conditions. Dates back to 1938 when Dr. Convit graduated from medical school and moved to the main leprosarium of Venezuela to alleviate the long time suffering and social exclusion of leprosy patients. For years, with a team of doctors and pharmacists he worked to find a drug that could prove that leprosy was curable and put an end to the compulsory isolation of patients. As he achieved this, Venezuela became the first country to close the leprosariums and treat leprosy patients in their own communities, a model that became a world reference in the treatment of the disease. For decades Dr. Convit focused on the development of a vaccine to treat leprosy, based on a combination of the Mycobacterium leprae and BCG. His tireless work and studies led him a few years later to develop a vaccine to treat leishmaniasis, another devastating cutaneous disease that is endemic in tropical countries. The vaccine was based on Dr. Convit’s prior model for leprosy, using a mix of Leishmania with BCG. 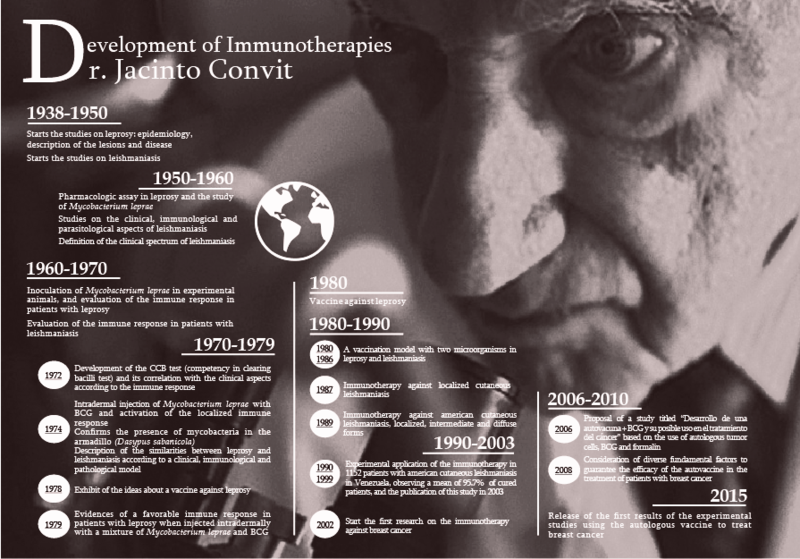 During his last years of life, Dr. Convit took upon a new challenge, cancer, as he saw in this disease an immunosuppressive behavior similar to that in leprosy and leishmaniasis, and proposed a personalized immunotherapy based on his experiences treating infectious diseases. 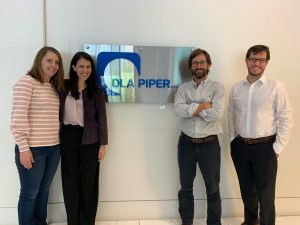 The DLA Piper team in Palo Alto joined our cause in 2012 and is key to the inception and growth of our organization. Thanks to their support, JCWO was incorporated in the US as a public charity more than four years ago. Since then, they have supported us with their corporate legal services, making sure that we fulfill all our requirements and needs. 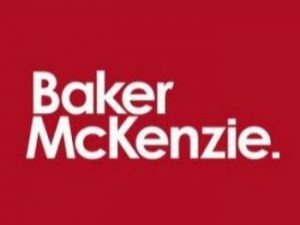 We are deeply grateful to our ally Baker Mckenzie, who joined our team in 2016 to support us with their intellectual property (IP) services. Thanks to their global IP group, JCWO filed a patent application to protect the cancer immunotherapy designed by Dr. Convit, under the international Patent Cooperation Treaty (PCT). 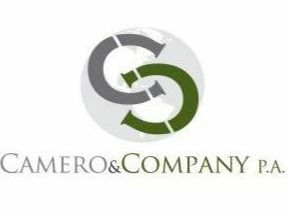 We are proudly supported by Camero & Company CPA, PA who became part of our team in 2017. Since then, they provide us with a top service in accounting, tax filings, federal and state requirements. 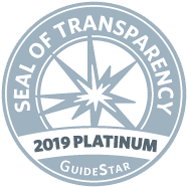 They make sure that we are up to date on our needs and contribute to our transparency standards. During recent years we have built a highly qualified, committed and multidisciplinary team, from our Board of Directors to our staff. After incorporating JCWO and setting up its structure, our team began international efforts to build collaborative networks and advance in the clinical project for the development of the ConvitVax as a breast cancer treatment. We are proud and thankful for our team and look forward to adding new members in 2019. 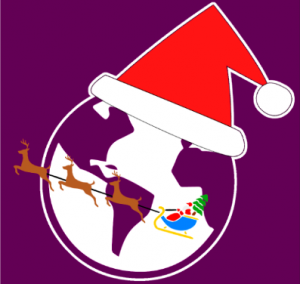 With the support of another non-profit organization, Fundasitio, and our marketing team, JCWO designed and released its web page early this year. At the same time, we opened up our social media accounts and began sharing our history and work throughout the year. 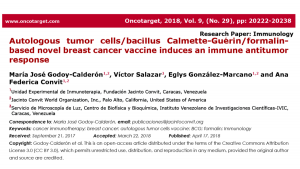 Looking to improve our immunotherapy, the antitumor effect of the ConvitVax was evaluated in combination with anti-PD1. 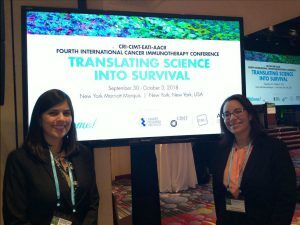 JCWO’s team traveled to New York City to present this work at CICON18 and continue networking efforts. We are proud to exalt our hard work with the participation in such illustrious conference. As part of our main objective to advance in the development of the ConvitVax, JCWO recently obtained the approval from the Federal Food and Drugs Administration (FDA) to begin studies in humans. We are proud to share that our immunotherapy will soon begin Phase I trials in stage IV breast cancer patients. 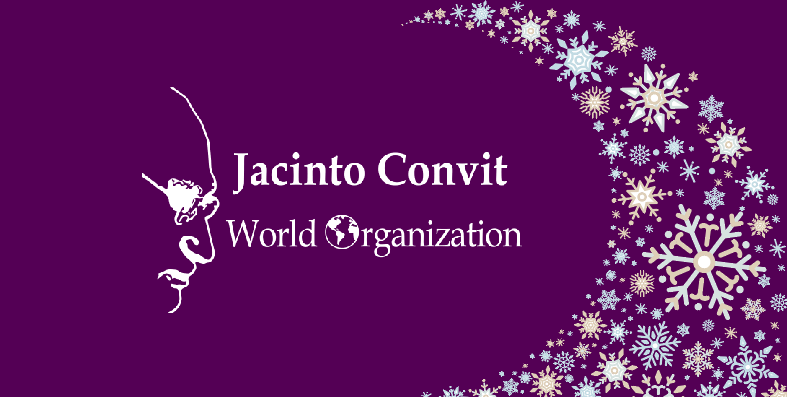 The Jacinto Convit World Organization is deeply grateful to all the people, institutions, organizations, collaborators and allied entities that have become part of this project to impact the lives of patients in poor conditions. We are only at the beginning of our path, and will continue to work hard to achieve our goals.